Last month saw the release of the Global Vodka Insights Report, produced by Just-Drinks and the IWSR. The report, which is available here, details just how challenging the world vodka market currently is. Vodka continues to be Europe’s largest spirits category but overall vodka sales have continued to slow, with a 3.4% reduction in cases, down to 461.3M in 2016. 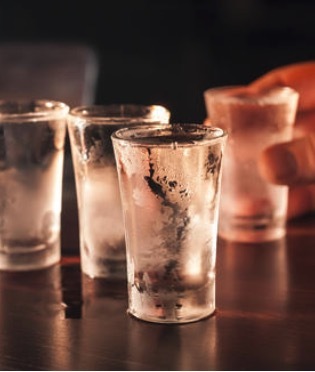 The report attributes these reductions to consumption volume declines in Russia, Poland and CIS states, with the US flavoured vodka category losing out to tequila and whisky. It’s not all bad news though. Higher priced vodkas saw an increase of 2% to 133.6M cases, reflecting a shift towards ‘drinking less, but drinking better’. The Global Vodka Alliance believes that better education, integrity and innovation in the category will ultimately encourage new drinkers to discover vodka, and win back the favour of those who have moved away from the spirit. Last year’s release of Belvedere’s Single Estate Rye vodka series is an example of a long established vodka brand understanding that modern consumers expect provenance, character and a fresh perspective. Terroir is a relatively new concept within vodka, although William Borrell at Vestal vodka has been banging this drum since their launch in 2009. Vestal harvest their potatoes when they a young, small and full of flavour, distilling them into a range of different characterful vodkas. As a brand, Vestal have spend the last nearly 9 years communicating where their product comes from and how its made, and its certainly paying off for them now. Does vodka need to “grow up”? It can certainly be said that the category has suffered from years of confusing marketing, and an unwillingness to talk about where or how vodka is produced, but from where we’re standing, we see that the change has already begun. Sure, theres a long way to go, but producers are looking out at what other categories are doing well, and finding new and exciting ways of telling the imbibers their stories and encouraging people to return what is shaping up to be a very interesting category indeed.